Quite some fun for the money, noiseless, right next to me all i need, and PC editing, and usb recording! 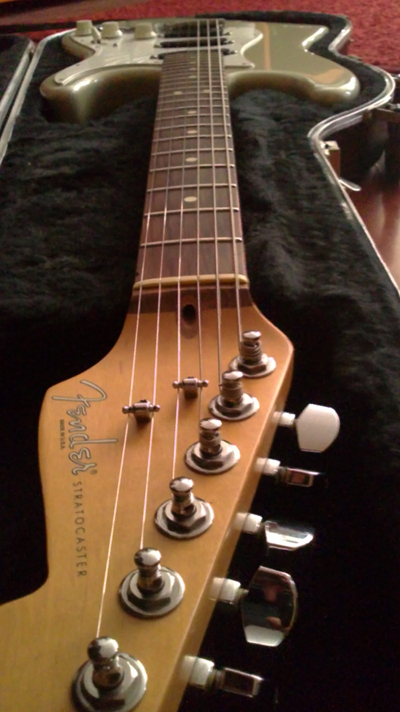 got me a Fender usa strat with seymour duncan on the bridge and Joe Barden's middle and neck, fat sound , lots of dynamic! needs some fine adjustment later, now just havin fun with it. man that is one nice looking beast. it must sound so awesome!! How well do the pickups do with clean tones and how well do they do with distorted tones? sort of need to learn to get used to or adjust the pick-ups? I've have the originals here, but i think they aren't noiseless either.. Welcome to the usa-strat-o-mat-club, Max. Does the neck feel that comfortable as my strat-neck feels ? It�s quite easily playable, yes? Yeah,that singlecoil-humming is sorta annoying. 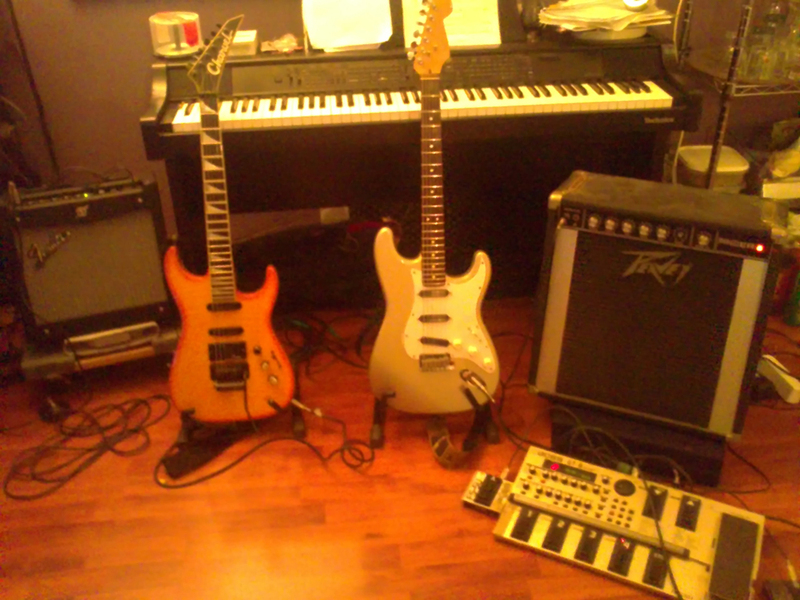 Had this prob with my old Ibanez strat and that�s one of the reasons why I purchased the Fender.with "noiseless PUs". With these PUs it�s no prob playing high distortion sounds. 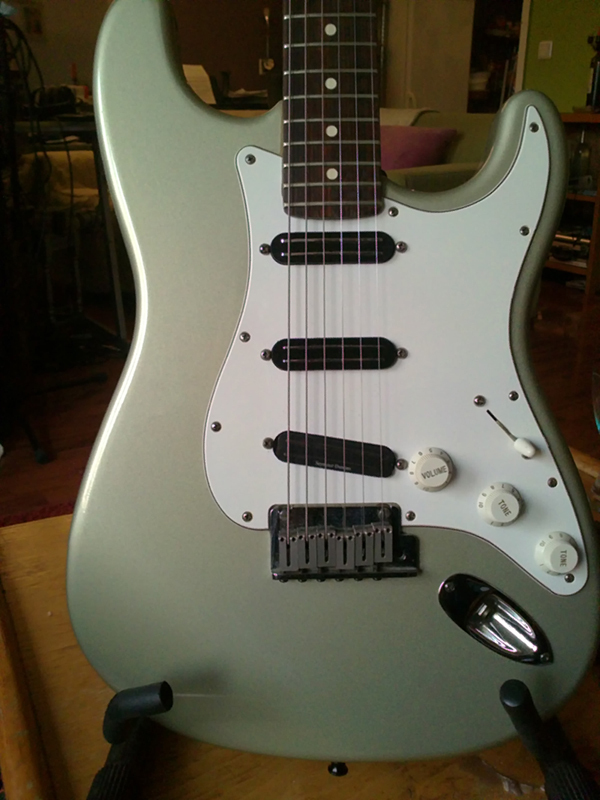 If you want to eleminate humming, check out the "Fender noiselss PUs" or (insider tipp) "Jeff-Beck-Pus". The "Jeff-Becks" are pretty powerful, expressive and energetic. They can scream, shout, cry.........and more. actually thes pickups should be noiseless and at least the bridge for sure is a humbucker. but not good for recording. I realise the luxury of it, and I'm appreciating it a lot.